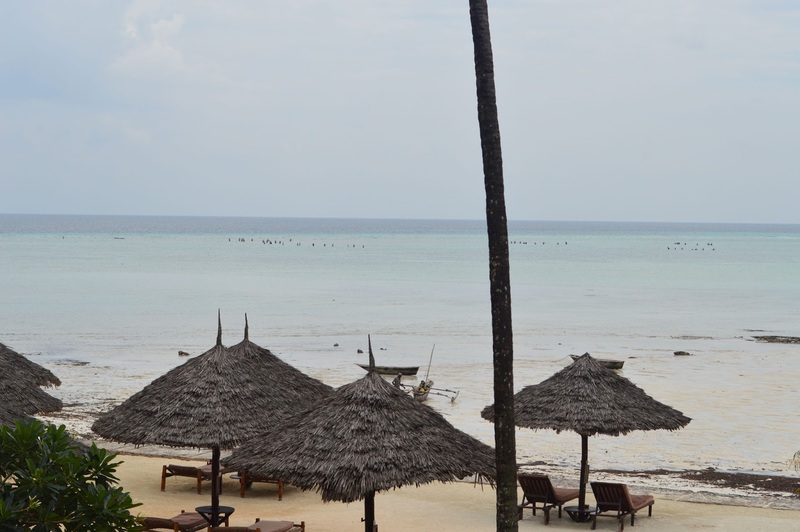 View from our hotel on the beach - low tide. 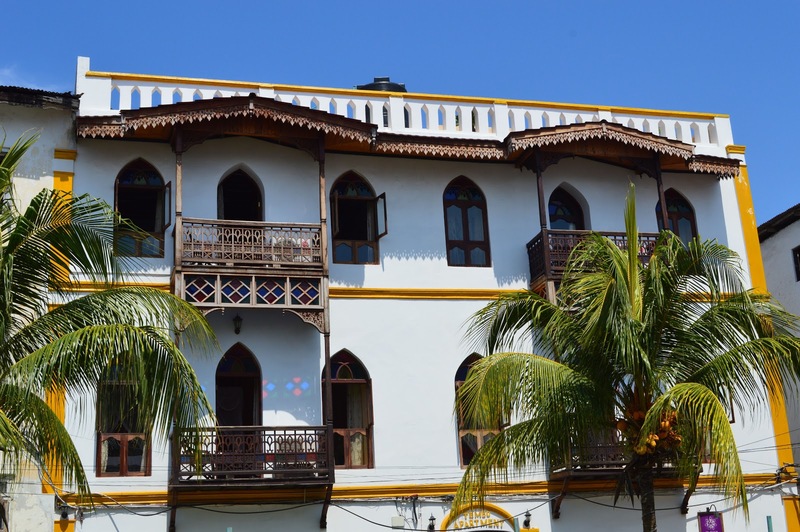 Zanzibar is a group of islands (sometimes called the Spice Islands), so of course ocean related activities and historical sites are the two main tourist attractions. We spent a couple of nights at a beach hotel and one in the old historic "Stone town". If you look closely at the photo above, you might see people off in the distance - it's low tide and the women have walked out from shore in groups to surround and net the small fish. Dhow ride - going by a fancy hotel on the beach. 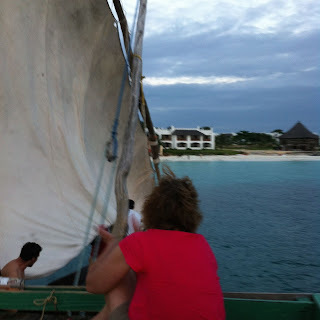 We had to go for a sunset Dhow ride. 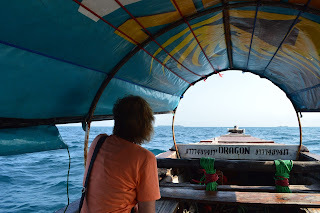 We were anticipating a quiet cruise, but found we were sharing the boat with a diverse group of friends, living in Zambia, but from both Europe and Africa (Germany, Sweden, South Africa, Zambia, Tanzania) who brought along a group of drummers and danced much of the trip. Great fun. 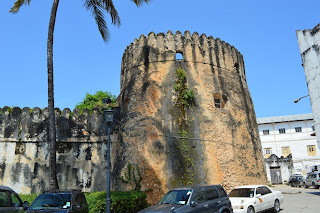 We also spent some time in Stone Town, the old capital of Zanzibar, with winding alleys and old buildings. 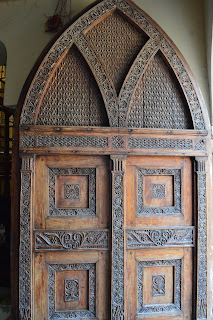 We loved the old doors. 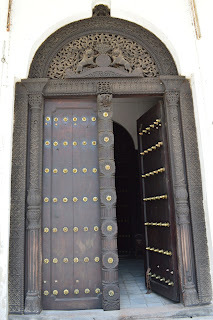 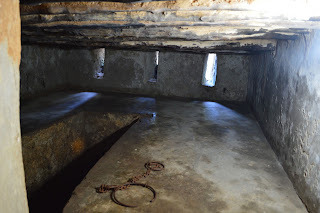 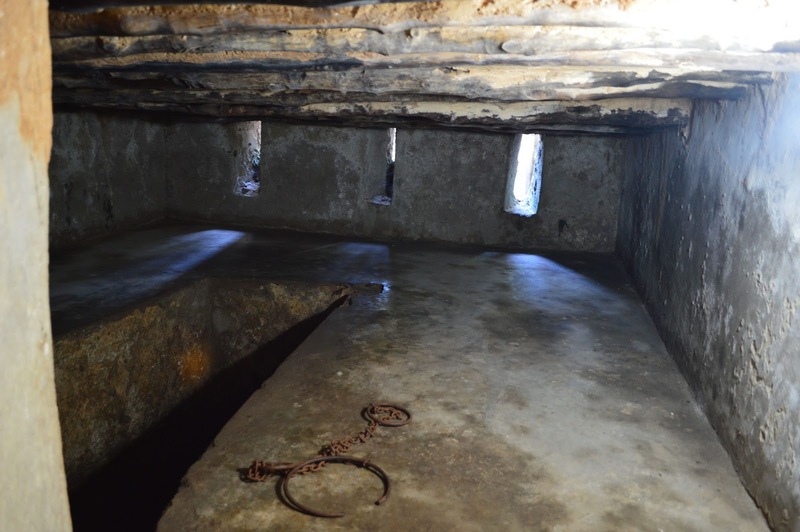 Zanzibar also had a long history as a center of slave trade and we visited both a slave market area and the underground cells where they held the slaves. 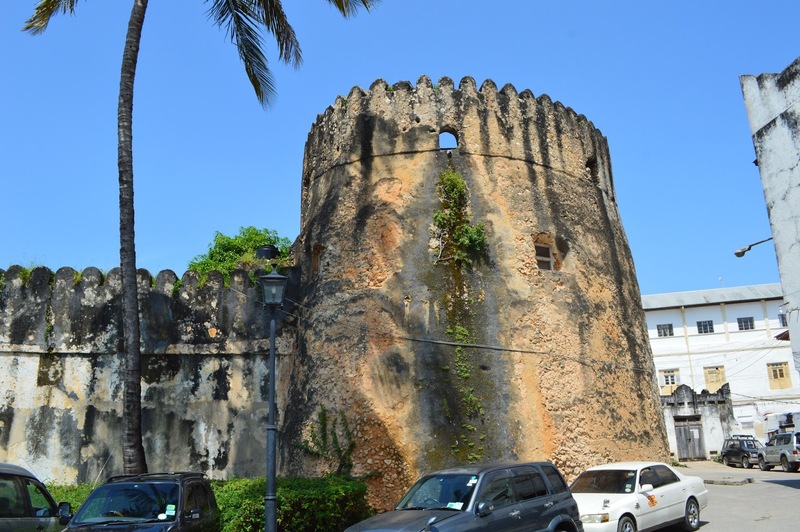 Zanzibar also has the distinction of being the site of the Anglo-Zanzibar War, known as the shortest war in history - 38 minutes. We even went to a small island called prison island ( real name - Changuu) that had served as a quarantine site as well as the home of some giant land tortoises. 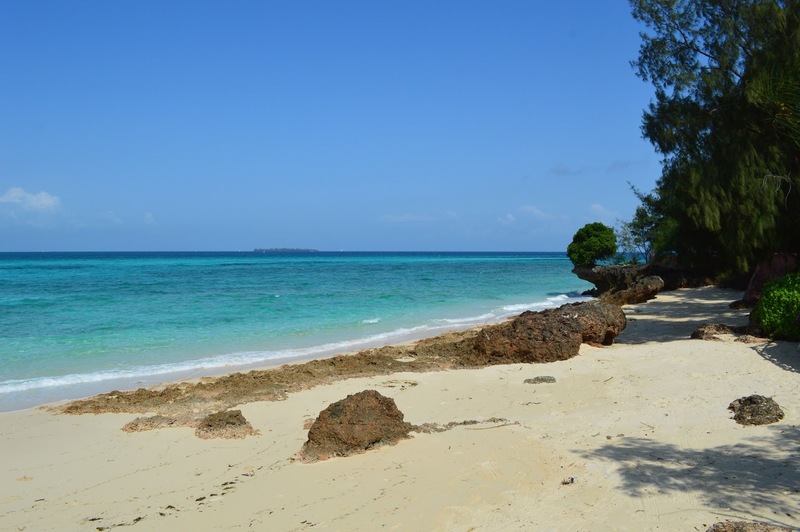 Nancy and I even went snorkeling ! in the boat on the way to the reef for snorkeling.